I post books on Wattpad, along with poetry, and don’t tend to look at the number of reads as it didn’t seem to change dramatically. BUT! The last time I checked the number of reads for ‘Love on the run (from Zombies)’ it was at 3,000 ish reads. IT’S NOW AT 13,700! How did this happen? How did I not notice? So appreciative of everyone that has read it and commented. Please go take a gander and let me know what you think as I can’t improve without feedback! 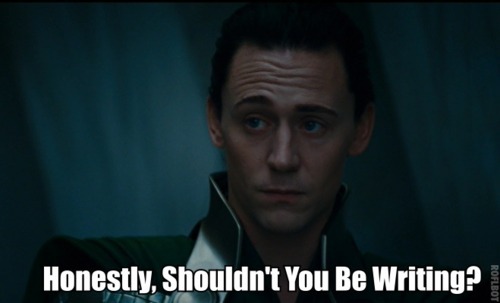 Oh Loki, you don’t know the half of it! I have tried (unsuccessfully) to post on here for about a week and my laptop is not playing ball. I don’t know if it doesn’t like the site, or it just doesn’t like days ending in -day….urgh. I’ve seen the possible covers for my book and am very excited. ‘Must Love Fangs’ on facebook is doing it for me, my problem is that all the options she shows me are great, so how am I supposed to choose? We’re looking at a Dec 22nd release and I am waaaaaay too impatient to wait that long! I will have a couple of copies to give away, but most will be available from Mystic Press etc. I will hopefully be flogging a tonne to family and friends too! The e-book is gone from Amazon for the time being so it can be relaunched (Editted and everything! Unlike the last time where I paid £300 for it to be editted…BADLY!) Anyhoo, rant over.